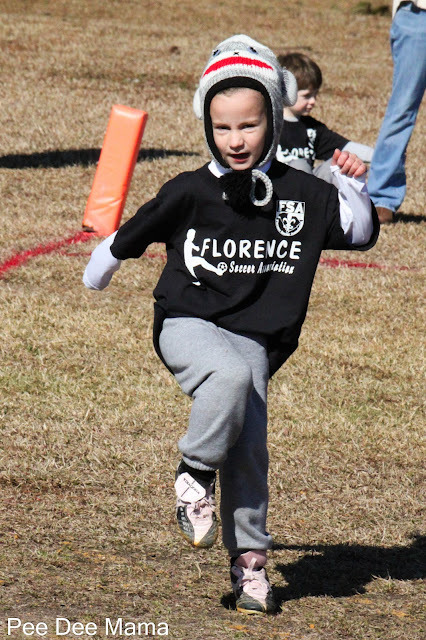 Yesterday, Sassy had her first soccer game of the spring (really, spring in February?) season. Since it was a bit chilly at 10am, she went with the sock monkey look. She has so much fun. In addition to playing soccer, she entertained us during a dead ball with a little dance, captured above.